“A profound exploration of what it means for all of us to live—and to die—with dignity and purpose.” —People “Visceral and lyrical.” —The Atlantic As the American born daughter of immigrants, Dr. Sunita Puri knew from a young age that the gulf between her parents' experiences and her own was impossible to bridge, save for two elements: medicine and spirituality. Between days spent waiting for her mother, an anesthesiologist, to exit the OR, and evenings spent in conversation with her parents about their faith, Puri witnessed the tension between medicine's impulse to preserve life at all costs and a spiritual embrace of life's temporality. And it was that tension that eventually drew Puri, a passionate but unsatisfied medical student, to palliative medicine--a new specialty attempting to translate the border between medical intervention and quality-of-life care. 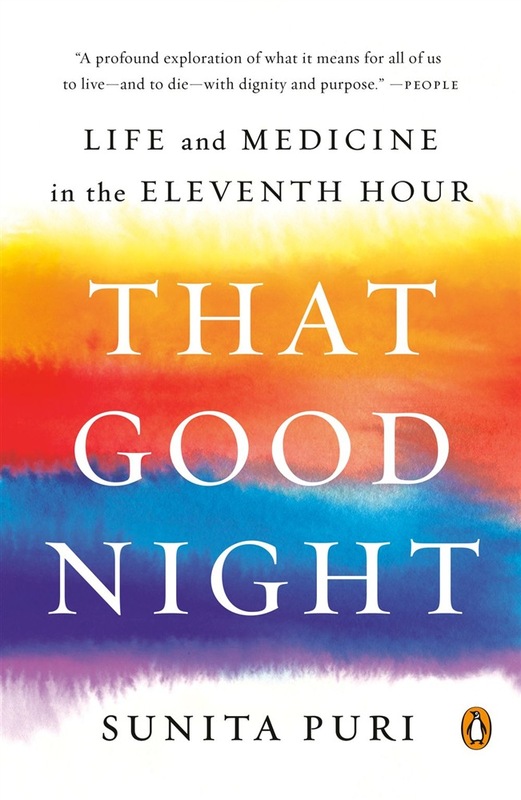 Interweaving evocative stories of Puri's family and the patients she cares for, That Good Night is a stunning meditation on impermanence and the role of medicine in helping us to live and die well, arming readers with information that will transform how we communicate with our doctors about what matters most to us. Acquista That Good Night in Epub: dopo aver letto l’ebook That Good Night di Sunita Puri ti invitiamo a lasciarci una Recensione qui sotto: sarà utile agli utenti che non abbiano ancora letto questo libro e che vogliano avere delle opinioni altrui. L’opinione su di un libro è molto soggettiva e per questo leggere eventuali recensioni negative non ci dovrà frenare dall’acquisto, anzi dovrà spingerci ad acquistare il libro in fretta per poter dire la nostra ed eventualmente smentire quanto commentato da altri, contribuendo ad arricchire più possibile i commenti e dare sempre più spunti di confronto al pubblico online.